Farris “Butch” Carl Moore, Jr., 74, of Dalton, passed away on Friday, January 11, 2019. 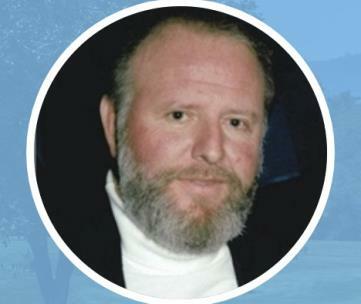 Farris was a veteran of the United States Air Force, played minor league baseball, and was an avid golfer. One of his greatest joys was being at his grandchildren’s sporting events and games, especially golf tournaments and basketball games. Farris was preceded in death by his parents, Farris Carl Moore, Sr. and Geraldine Moore. He is survived by his wife, Carol Louise Moore of Dalton; sons, Michael Edwin Cantrell, Sr. (Christie) of Dalton, Michael Moore (Terrie) of North Carolina, and Jimmy Moore of Virginia; grandchildren, Lindsay Bennett (Cole), Heather Cooper (Kat), Michael Cantrell, Jr. (Julianne) and Brandon Moore; great grandchildren, Brax, Briggs, and Baker Bennett and Eli and Emma Cooper; and his sister, Sharon Moore. A celebration of life will be held at 2 p.m. on Tuesday, Jan. 15, at Love Funeral Home. The family will receive friends prior to the service from 12-2 p.m.